When it comes to Sacramento plumbing supply, rough or finish, we are your complete source. Plumbing products for Sacramento homes and businesses have been at the heart of our family-owned business for more than 33 years. Whether you're a homeowner or a contractor, Brothers Plumbing Store is the time-tested and trusted source for kitchen fixtures in Sacramento, toilet parts and bathroom fixtures for Sacramento homes. You’ll find it all in Brothers plumbing showroom where Sacramento homeowners and builders shop for all the right plumbing parts and more. We back up our great Sacramento plumbing supply inventory with expert advice on plumbing repair for Sacramento, Woodland, Davis, Elk Grove, and El Dorado Hills customers. Over the decades, we've become the top alternative to "Big Box Stores" with competitive prices and a large inventory of Sacramento plumbing supply parts and plumbing repair. Sacramento knows we carry all the best brands and offer first class service. We give Sacramento plumbing supply customers the extra help they may need to select the perfect kitchen fixtures for Sacramento homes, toilet and toilet parts, or tub and shower combinations. 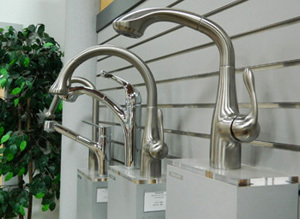 We have all the plumbing supply parts Sacramento needs in one visit, in addition to smart advice about plumbing repair. Sacramento customers appreciate our personal style. "We keep our customers from making mistakes," says John Johnston. Brothers plumbing supply in Sacramento has 16,000 square feet of plumbing supplies, toilets, sinks and faucets in our beautiful plumbing showroom in Sacramento. When it comes to sinks, faucets, disposals, plumbing parts, and other kitchen fixtures for Sacramento homes, Brothers Plumbing Store makes it easy to shop. Our beautiful displays help you visualize just how kitchen fixtures in Sacramento homes will look. 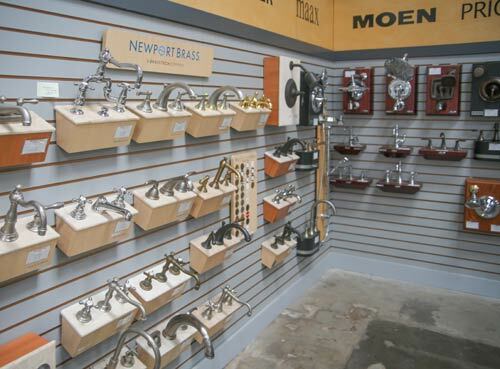 We have lots of displays so that you can get a real feel for the kitchen fixture you need – from faucets, filters, and soap dispensers to sparkling new sinks and plumbing parts accessories. Our Sacramento plumbing repair specialists can also help you with professional advice. All we ask in return is that you buy your parts and fixtures from us. Shopping for kitchen fixtures in Sacramento was never easier – or more enjoyable! We pay particular attention to the details of plumbing parts and fixtures, stocking the best collection of toilet parts in Sacramento, Woodland, Davis, Elk Grove, and El Dorado Hills. 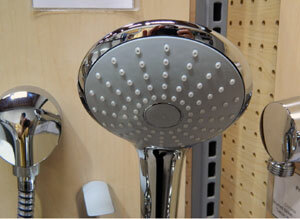 Too often, it’s the small things that cause the biggest frustration for our Sacramento plumbing supply customers. Toilet parts often top the list. And, we make repairs to toilet plumbing for Sacramento do-it-yourself customer easy to understand and complete. So relax, toilet parts for Sacramento are ready and waiting for you at Brothers Plumbing supply! Our services include being Sacramento’s plumbing repair resource for all your plumbing parts and supplies. Our experts have decades of combined experience that can make any Sacramento plumbing repair job faster and easier. We help you get plumbing repair in Sacramento done right – the first time! No matter what your project or challenge, we have the plumbing parts in Sacramento and the expertise to teach you how to be successful without an expensive house call for plumbing repair. Sacramento customers appreciate our personal service and inventory. We’ve found that most Sacramento plumbing repair projects are relatively simple once you have the right tools and professional advice and parts from our vast inventory of plumbing supply for Sacramento homeowners. The brothers, John and Tim Johnston of Brothers the Plumbing Store, have been selling plumbing supply in Sacramento for better than 80 years combined. They started their retail store in 1980, serving the greater Sacramento area. As their families grew, their sons also became very involved in offering plumbing supply to Sacramento families and businesses. John and Tim’s first motto is “We’ll show you how to do it;” this is true and you can believe it. And their second motto is "Do it yourself and do it right;" it also is very true and you can believe that, too. John and Tim are local Sacramento boys, born and raised in this capital city. They grew up watching this great town grow along with them. They are proud to be part of this still growing city, helping each customer day in and day out at their spacious plumbing showroom in Sacramento. 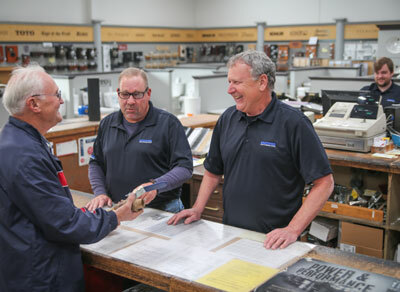 It’s is a family-run business with brothers, wives, sons, and occasional cousins working at the store supporting our customers’ plumbing fixture needs that makes Brothers Plumbing Supply in Sacramento a local resource. Here at Brothers Plumbing Supply, Sacramento has a great alternative to the larger "Big Box Stores." We carry all the important brands and offer first class service to help customers select their plumbing supplies in Sacramento. We give customers the extra help they may need to select the perfect kitchen fixtures or bathroom fixtures for Sacramento homes, the right toilet, or the perfect tub and shower match. "We keep our customers from making mistakes," says John Johnston. 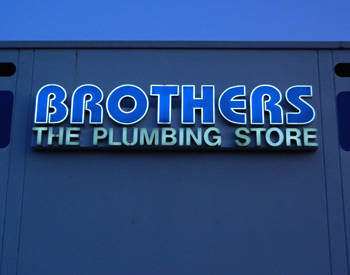 Brothers Plumbing Store has 16,000 square feet of plumbing-related items in our attractive plumbing showroom in Sacramento and a well-stocked plumbing parts department. Come by today. We are worth the drive from anywhere!